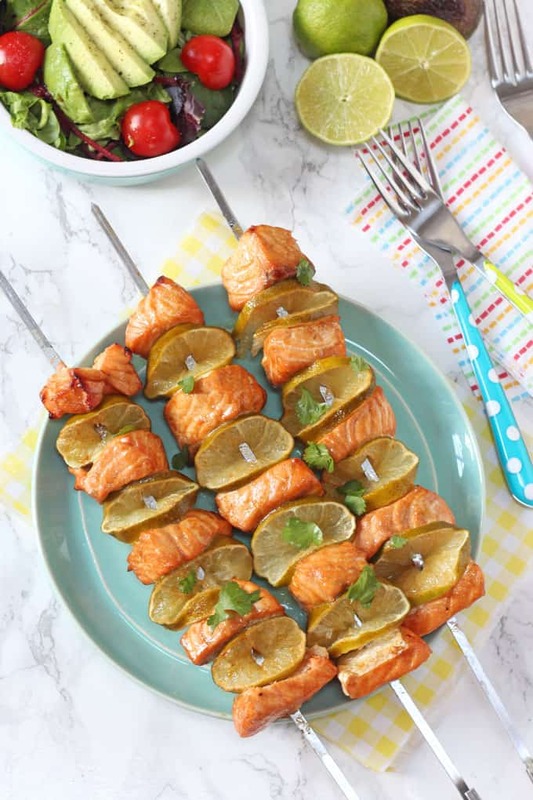 Delicious BBQ Salmon Skewers made with Flora Dairy Free Avocado & Lime, the perfect summertime meal! 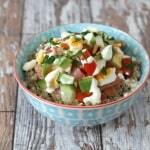 I’m back today with another super tasty recipe perfect for summer and made with the new Flora Dairy Free range. You may recall that I’ve been trying out all the different flavours in this new range over the past couple of months. First I made this delicious Coconut & Almond Curry. Next was this Summer Berry Cobbler and today I’m using the new Flora Dairy Free Avocado & Lime to make these tasty BBQ Salmon Skewers. Marinating meat and fish can sometimes seem like a bit too much work when it comes to preparing meals but my recipe for this marinated salmon is super simple and mess-free too! All the ingredients go into a large sandwich bag making it so easy. 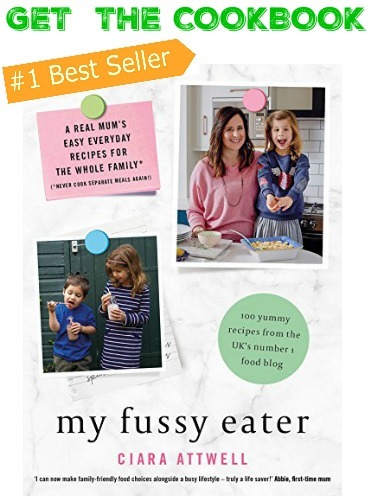 There is no waste either as the marinade is then mixed with Flora Dairy Free Avocado & Lime to make a delicious sauce to coat the salmon as it cooks. Yum! The Flora Dairy Free Avocado & Lime adds a lovely subtle taste to the sauce, perfect for fish. 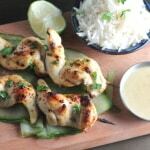 It would also work really well with chicken if you wanted to try it with some Chicken Skewers. 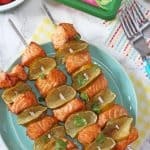 These Salmon Skewers are so tasty cooked on the barbeque but they are just good if you want to grill them instead. 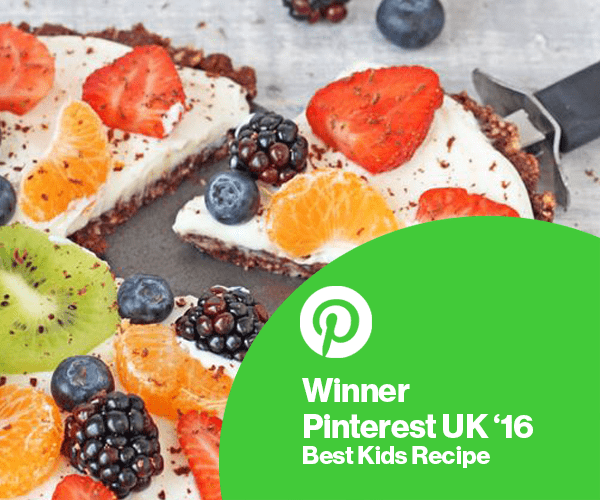 Flora Dairy Free Avocado & Lime is of course dairy free, making it ideal for families dealing with dairy or lactose allergies and intolerances. 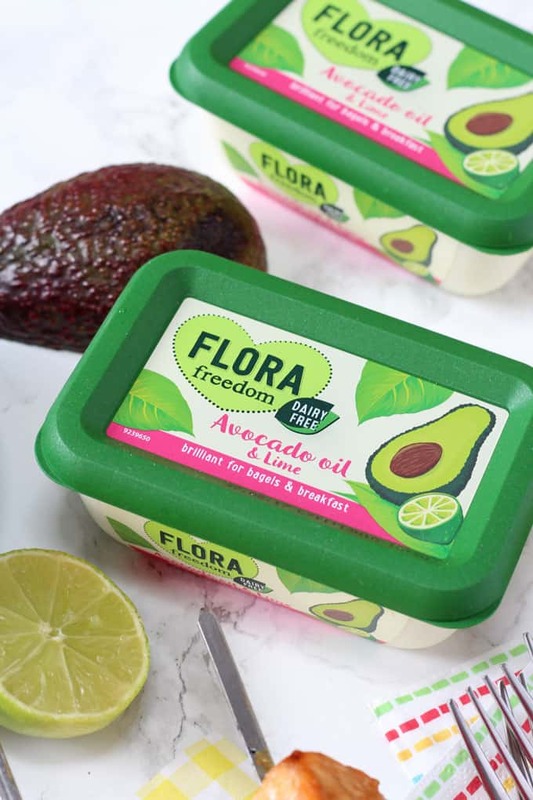 Flora Dairy Free Avocado & Lime is available to buy in Tesco, Ocado, Morrisons and Sainsbury’s. If you try this recipe please do let me know what you think. 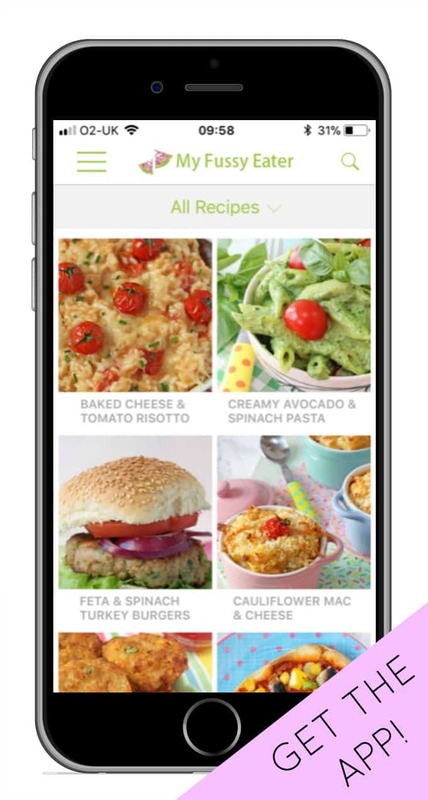 And if you have any ideas for using Flora Dairy Free Avocado & Lime in other recipes share them in the comments below! Cut the salmon into slightly larger than bite sized chunks and place in a large sandwich bag. Pour the mixture into the bag with the salmon and place in the fridge for 1 hour to marinade, giving it a little mix a couple of times. 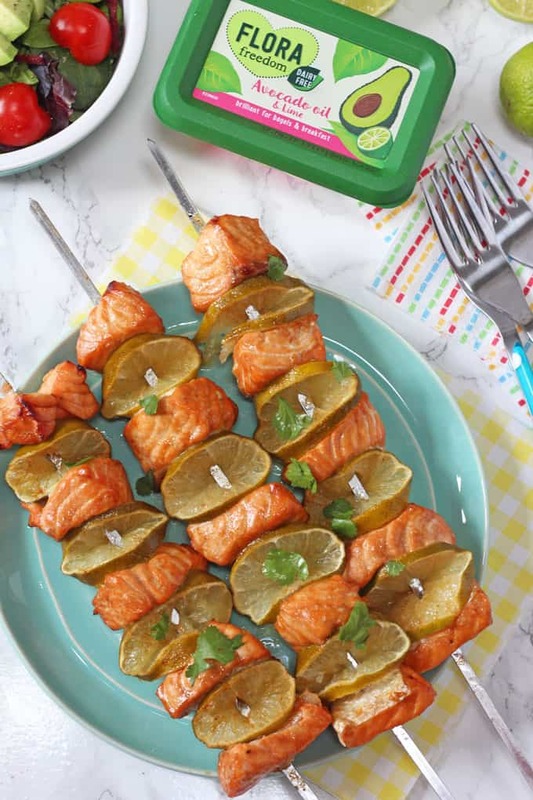 Remove the salmon from the bag and thread onto metal skewers, alternating between pieces of salmon and slices of lime. Pour the marinade into a saucepan. Add the Flora Freedom Avocado & Lime and simmer for 4-5 minutes. Cook the salmon skewers on the bbq for 8-10 minutes, turning once and brushing every so often with the marinade. Or alternatively they can be cooked under the grill. 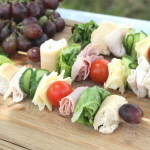 Serve with salad and any remaining marinade in a small bowl for dipping. Disclosure: I was compensated for my time spent working on this campaign with Flora but as always all opinions and views are honest and are my own. These look delicious. Am putting them on my meal plan for next week.